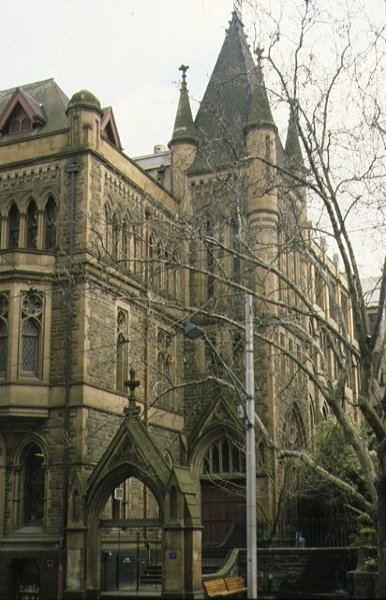 The Assembly Hall at 156-160 Collins Street Melbourne was designed by Henry H. Kemp for the Presbyterian Church, and built by Swanson Bros. in 1914-15 on the site of the old Scots Church manse. The four storey structure (the fourth storey was added c.1935) accommodates a hall with gallery, seating 900, offices and a bookshop. 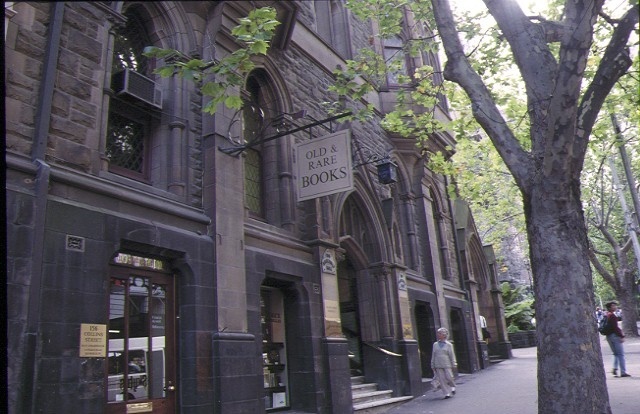 The street facade, return, and tower are faced in rock- faced sandstone with dressed stone mouldings. The Assembly Hall is of architectural and historical significance to the State of Victoria. The Assembly Hall is of architectural significance as a late example of Gothic Revival architecture. 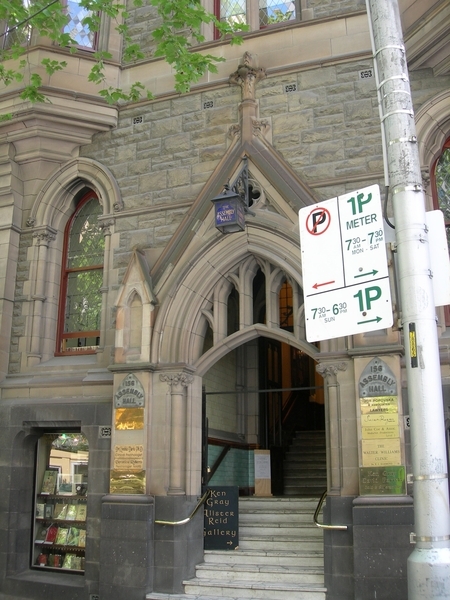 The careful attention paid by the architect to style, materials and massing has resulted in a building which harmonises with the neighbouring church and which is an integral part of the Collins Street streetscape. The Gothic theme continues inside the building, most interestingly in the foyer, stair and hall. 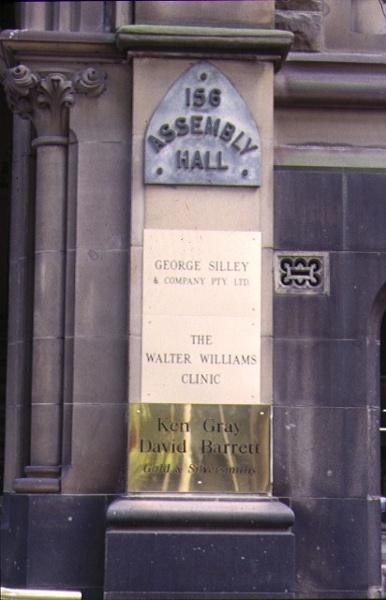 The Assembly Hall is of architectural significance as an example of HH Kemp's work. 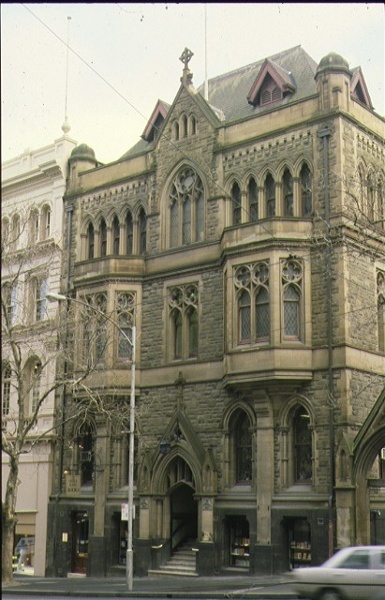 Kemp was noted for his arts-and-crafts-inspired Queen Anne or Federation style houses, so the Gothic style employed in the Assembly Hall is less common for him (although he was well trained in the style, as evidenced by this building and his 1887 Stage 2 of the Working Men's College). But it shows his determination to ensure the sympathetic integration of his building with the Scots Church nextdoor. 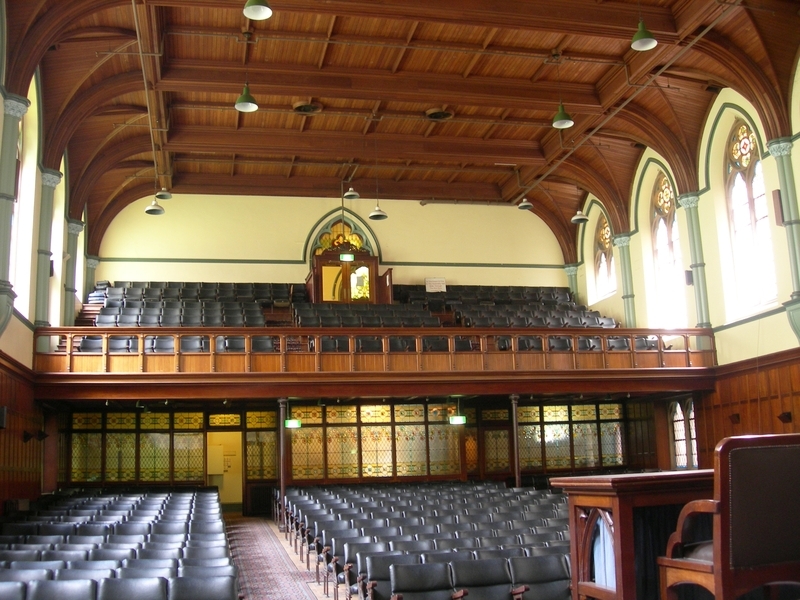 The Assembly Hall is of historical significance for its associations with the Presbyterian Church, its substantial character and prestigious address reflecting the fact that the Victorian branch was the largest, wealthiest and most influential branch of the Presbyterian Church in Australia. No. 418. 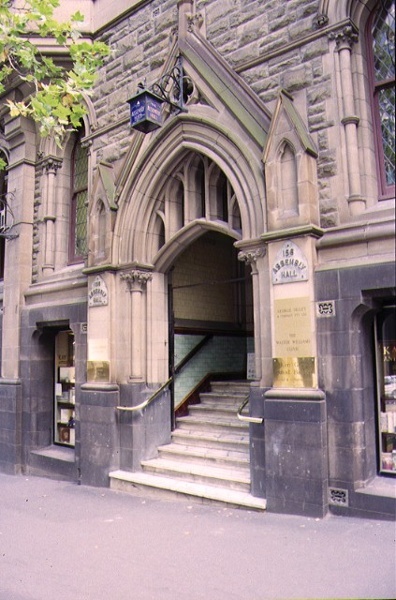 Assembly Hall, 156-160 Collins Street, Melbourne. The Assembly Hall was built on a site previosuly occupied by the old Scots Church manse. The Presbyterian church intended to begin construction in the early 1890s, but was thwarted by the onset of economic depression. The Hall was eventually built for a price of 33,159 pounds and opened in 1915. It was initially three storeys high and included Church offices and committee rooms and also writing rooms and caretaker's quarters. It is thought that the first meeting of the Liberal Party took place in the Hall.